• In-line skating is so much fun that students will enjoy increasing cardiovascular endurance, toning muscles and developing healthy habits for a lifetime. • Has aerobic benefits that are greater than stair-stepping and almost as good as running. • Burns calories. Up to 360 calories burned by a 150-pounder skating for 30 minutes. • Tones muscles, especially the hips, thighs and gluteus. • Improves balance and agility. • Is a low-impact workout, producing less than half the shock to joints that running does. **Fitness results are from studies by the University of Massachusetts Exercise Science Department. Download PDF of fitness study. 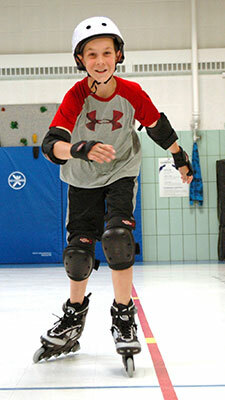 Children who are physically active do better in school. A recent California Department of Education study showed that higher levels of fitness directly correlated with improved academic performance in math and reading for 5th, 7th and 9th graders. Download the PDF of study highlights, courtesy of PE4Life.